Is Church & Dwight Cruelty-Free? What You Need to Know! Church & Dwight was founded in New Jersey in 1846. They may not be a household name like Clorox or Colgate-Palmolive. But they own several popular brands such as Nair, Arm & Hammer, and Orajel. So read on mama and get your questions answered! Here is Church & Dwight’s full animal testing statement. Is Church & Dwight Cruelty-Free? No…Church & Dwight is not a cruelty-free company. I’m happy to see they do try to use ingredients that have already been proven to be safe. But just like so many others, they will disregard their own policy to comply with countries, China, that require animal testing. Sometimes a brand chooses to remain cruelty-free regardless of their parent company’s policy. Well, all of Church & Dwight’s brands follow their animal testing policy and therefore are not cruelty-free and should be avoided. I hope all of your questions were answered about Church & Dwight‘s cruelty-free status. Unfortunately, I have to put them on my of brands that test on animals. Luckily, there are so many cruelty-free alternatives to choose from to replace the bad brands. Are you surprised about any of the brands on this list? Will, you buy the cruelty-free brands from Church & Dwight or boycott them completely? Let me know your thoughts in the comments below! Join our growing tribe of cruelty-free mamas! 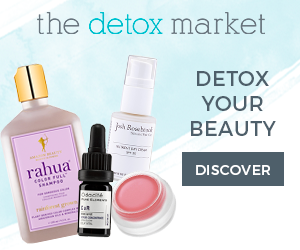 Just sign-up below and you’ll get instant access to our freebie library of product and shopping guides….and you’ll be added to our newsletter for exclusive happenings in the Cruelty-Free Universe :)! Hello and welcome to Cruelty-Free Mom! Our mission is to help mamas live a more eco-conscious lifestyle one product at a time.